If people knew and understood just how dangerous driving a car really is, you’d think they wouldn’t add to the danger, break the law and risk personal injury by talking, texting, making a call or answering their mobile phones while in control of a vehicle. Sadly, far too many drivers do just that. You only have to ask any personal injury lawyer about the consequences and they would tell you some scary stories about injuries etc. The aftermath of mobile phone use in cars can be tragic at worst, and costly at best (if you can call it that) in terms of accidents causing injuries, damage to vehicles, lost demerit points, charges of negligence, fines and a drag on the health system, on paramedics and emergency service workers who have to cut them from their cars. Mobile phones have become as much a part of life for many users as wearing clothes and shoes. They would no more go anywhere, and I mean even to the toilet or to the shower, without having that little device very close by. So many are so conditioned, some might say enslaved by their mobiles that a beep or a crazy ring can suddenly wrench them from almost any activity in their desperation to answer them. Many people own smartphones so the risk of an accident is increased as they use the phone while driving to check Facebook and other social media posts. There have even been reports that paramedics are finding mobile phones embedded in the bodies of car crash victims. There are far too many other distractions for car drivers as it is without the mobile adding to it. 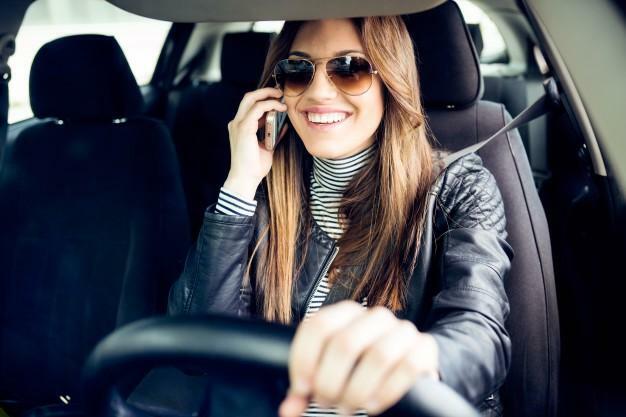 Such distraction in a car while driving, or even waiting for the lights to change, can cause accidents and be deadly, which is why laws had to be made to protect drivers, passengers and pedestrians alike from the dangers of phone use by drivers in cars in Australia. Personal injury lawyers can help after the damage is done, but prevention is better than cure, always. And it’s a well known fact that a common contributing factor to road accidents in Australia is distraction, and this includes that caused by mobile phone use whilst driving, which costs the community an estimated $27 billion a year which takes into account the financial load on the health care system and the families of victims. The problem has been addressed through NSW Government initiatives such as the ‘Get Your Hand Off It’ campaign which puts the spotlight on the serious consequences of illegally using a mobile phone while in the driver’s seat. The campaign stresses the fact that a driver taking their eyes off the road for a matter of only two seconds could cost them, and their loved ones, in fact, everything. After a decline in deaths from road accidents over the past decades, road accidents are now killing 25 Australians a week and resulting in injured victims being hospitalised every 12 minutes, according to figures from the Australian Automobile Association. And the figures, which are on the rise rather than decreasing, are ‘a national economic emergency’ according to the Australasian College of Road Safety. With the common image of young people glued to their phones, a crackdown by traffic police in May on the M5 in Sydney resulted in the surprising finding that older drivers are the worst offenders when it comes to using mobile phones while driving. The blitz, in which six officers set up an operation at Beverly Hills, used a camera and a long lens to photograph the registration plates of offenders holding their phones to talk or text. Officers on motorcycles chased the offenders and fined them. NSW drivers can lose four demerit points plus a fine of $325 or $433 if caught using a mobile phone while driving in a school zone. Police figures from 2016 reveal 38,000 fully licensed drivers were fined for this offence, compared to 900 P-plate drivers. There were 735 drivers caught talking or texting whilst in school zones. If you’ve been injured in an accident involving the use of a mobile phone or for any other reason, contact your personal injury lawyer as soon as possible. PK Simpson Injury Compensation Lawyers are ready to take your call. (02) 9299 1424.